We are delighted to announce the launch of "Sohm 2020", our drive to raise £20,000 over the next two years to fulfil two extremely ambitious projects. 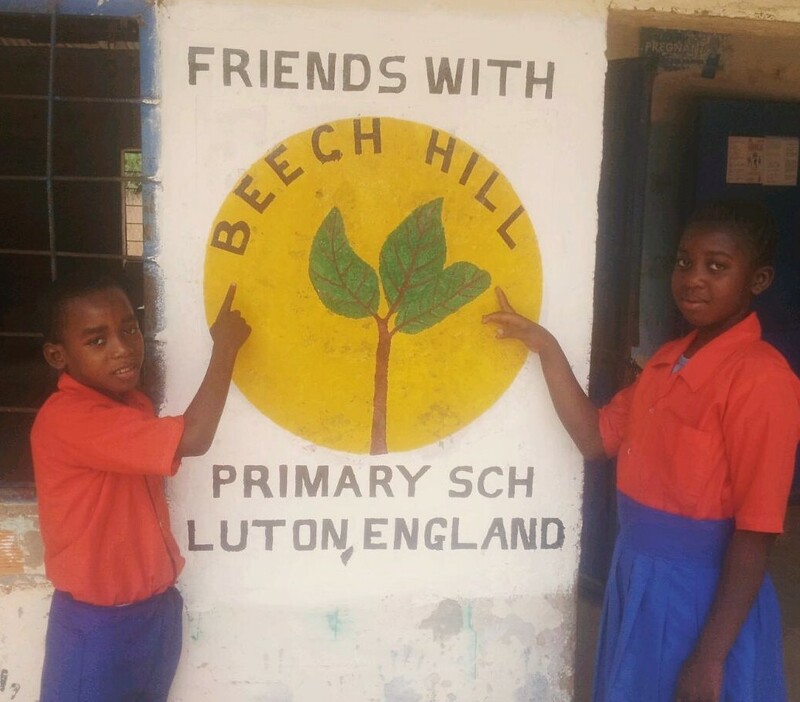 Our sights have been raised as a result of an extremely fulfilling partnership we have struck with Beech Hill Primary school in Luton. We have also been encouraged by help from some other very generous donors and a working arrangement with a Swedish charity in The Gambia, that specialises in training and employing Gambian construction labour to work on not-for-profit projects, at cost price. Beech Hill primary school in Luton is a large school in a modest, mainly Muslim area of the town. Its recently appointed deputy head, Natalie Carson, is daughter of SSS co-founder, Sandra Walker. Natalie has previously worked with SSS in Sohm, when five years ago she and a colleague, undertook some training of teachers in the Gambian village. In her new role, in Luton, she has persuaded the school to "adopt" the Lower Basic school in Sohm. This will involve developing twinning arrangements, exchanging correspondence with individual pupils, exchanging curriculum materials and helping to fund raise on behalf on Sohm LBS. Beech Hill has already raised almost £1,500 for Sohm in the six months since the arrangement was agreed, and has committed itself to assist the school for upto three years. Sohm has also adopted the twinning enthusiastically, as the photo, above - taken in February - shows. Beech Hill has other, exciting, twinning and fund raising events planned over the following months - and we will keep you up to speed on their progress. Over the last year, our charity efforts have been focused on raising enough money to completely refurb and re-furnish a broken down classroom in a decaying block of six at the Lower Basic school. Supporters have generously provided us with the £2,500 we felt necessary to undertake this task. And we thank them (they know who they are! ), very sincerely for their generosity. We have, in fact, been able to raise twice that amount for this project! In January we were given an estimate, by the government's education building surveyor for refurbish and re-equipping the whole six-classroom block. We have given the spec to the local Swedish/Gambian charity, mentioned above and they have given us a cost price quotation for the work. Working on a "matched-funding" basis with our colleagues from Jersey, we are delighted to announce that we have now collected enough to restore the whole six classroom block, and an office within it! Work will commence at the end of the summer term and we hope everything will be complete in time for the pupils' return to school in September. Until two years ago we had free container space to ship donated items out to The Gambia. This arrangement enabled us to take, among other items, a whole classroom computer suite, with associated equipment. The "free passage" offer has, unfortunately ended. One of our long-time supporters, forgetful of this, however, donated a large supply of unwanted stationery to us, as he was closing down his stationery business. It would have been ideal for the children in Sohm - but the commercial transportation costs of getting it there would have been greater than it was realistically worth to the schools in the village. A generous, local-to-us, retailer stepped in and offered to buy the stock from us. Friends and colleagues transported it free. Result? Another few hundred pounds to help restore the classrooms! Thanks to all concerned in that transaction - on behalf of the children of Sohm Lower Basic school! Flushed with success, and some certainty about future levels of funding, we began exploratory talks, while in the Gambia earlier this year, about embarking on our most ambitious-to-date project. The demolition of the school's decrepit, unusable, 35-year old school kitchen and dining hall and replacement with a fit-for-purpose facility. kitchen and dining room, from outside. Note the interesting curvature of the roof! It has been condemned and out of use for three years now. Even when it was operational the 'dining area' was inflexible, as the "furniture" consisted of immovable concrete blocks. In the absence of a proper kitchen and dining room, children have to make to with pieces of bread, dipped in a sauce, from outside stalls in the school grounds. Once more, we got the schools' building inspector to give us a price for demolition of the building and the reconstruction of a kitchen area and multi-functional hall. The initial estimate is £20,000, inclusive. The hall will have movable tables and chairs - so it can still be used as a dining area, and so much more. The furniture can be moved to one side - so offering the school its first ever: assembly hall, indoor gym, meetings room, performance area and prayer room. We aim to raise £10,000 over the next 18 months to pay for this - and so, with our Jersey partners, reach our £20k by '20 target. Your help - as ever, would be much appreciated! And, as ever, we will keep you up-to-date on progress with the project.